Google never lags behind the current technology trends. With the coming up of Apple’s Siri, Amazon’s Alexa and Microsoft’s Cortana, Google has launched its voice assistant, Google Assistant, with some great features. 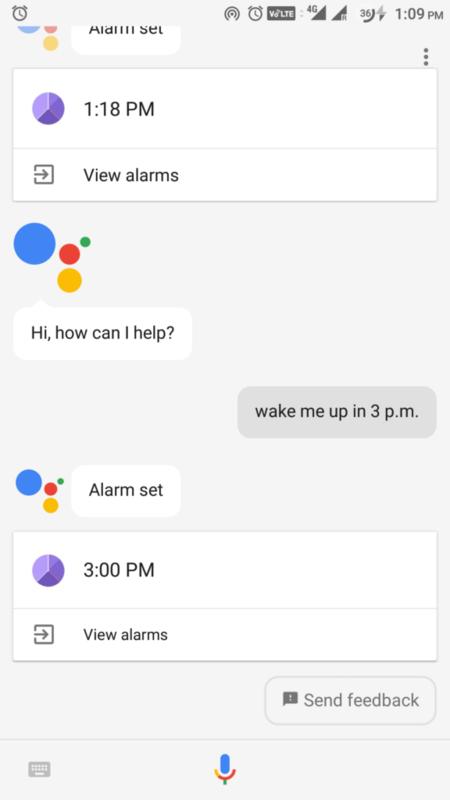 As we know, Google Assistant is a voice-based virtual personal assistant, initially debuted as a part of Google’s voice-activated speaker Google Home and Pixel phones to facilitate Google voice commands. But now Google took a step forward by adding this amazing feature to smartwatches and Android devices that run on Android 6.0 Marshmallow and 7.0 Nougat. Now, even iPhone users can get the advantage of Google Assistant commands by installing it on their devices. Let’s say your hands are wet, and you got a notification in WhatsApp, then just launch your Google Assistant by saying “OK Google, open WhatsApp,” check your Whatsapp notification without physically using your hand. 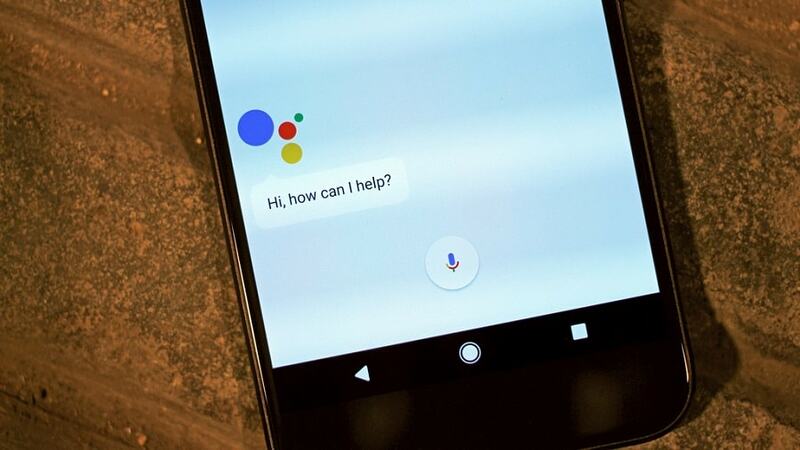 You can use this Google Assistant command to open any app you want. Ask your Google Assistant to make any call you desire, just open it and say “call (the person’s name),” example: “call mom,” and your preferred number will be automatically dialed. Whenever you feel too lazy to type a lengthy text message, just use your Google Assistant to get it done for you. Say “Send text message to (the person’s name).” From there, you can dictate the entire text message that you want to deliver. Also read: How To Use Google Feed For News And Replace Facebook? 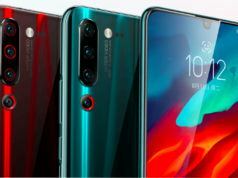 How To Customize It? Whether you are planning to go somewhere or you need directions to a nearby ATM, Google Assistant can assist you to any location you are looking for with accurate results. Go to Google Maps, and you can say commands like “How do I get to (name of the place)?” or “Show me a map of (name of the place).” You can find more commands for navigation here. 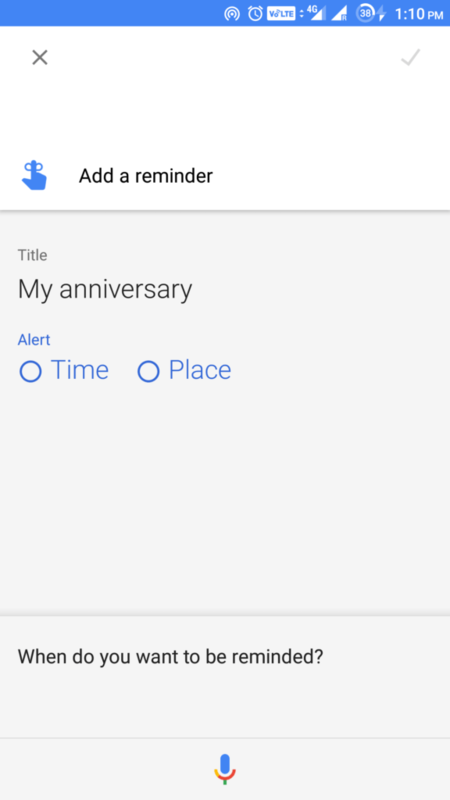 If you are too busy with your office work and you worry that you will forget to wish your wife on your anniversary date, then just set a reminder with Google Assistant, and you’ll never forget that date again. You can set it by simply saying, “OK Google, set a reminder for my wedding anniversary,” and it’s done. Useful trick, right? Are you in a different country and you are not familiar with the country’s native language? With your Google Assistant you can get your tongue translated to any other language you prefer, just say, “How do you say ‘(your word)’ in Spanish,” example: “How do you say ‘Hello’ in Spanish.”. The assistant will speak the translated phrase for you. When you are home alone and bored and have nothing exciting to do, just turn to the Google Assistant and say “I’m bored.” This useful command can entertain you with jokes and even play games such as solitaire or tic-tac-toe, besides, it can also surprise you with some random fun. You can ask the Google Assistant regarding any emails that you might have missed. 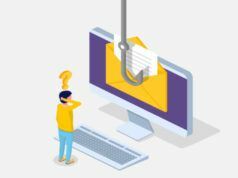 Simply launch it and ask, ” Did I miss any emails from yesterday?” and with its great power to draw information from other Google apps and services, the assistant will pull up emails that remain unopened. Are you in a middle of making a choice or a decision? Well, what could be a better option than flipping a coin and settling an argument? 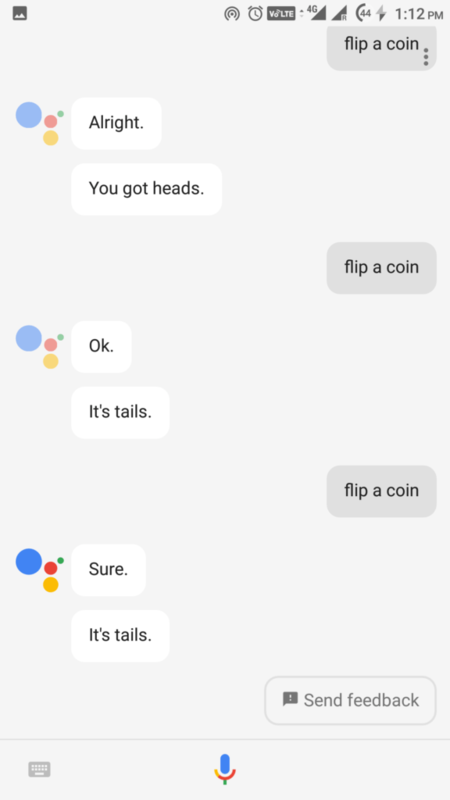 Get it done with the Google Assistant by just saying “OK Google, flip a coin.” You can also say “OK Google, roll a die” if you like things to be a little bit complicated. Google Assistant commands are there to update you anytime with the scores of your favorite sport. Simply find out who won yesterday’s big football game by asking “Who won yesterday’s Broncos-Texans game?” You will get your answer in no time. 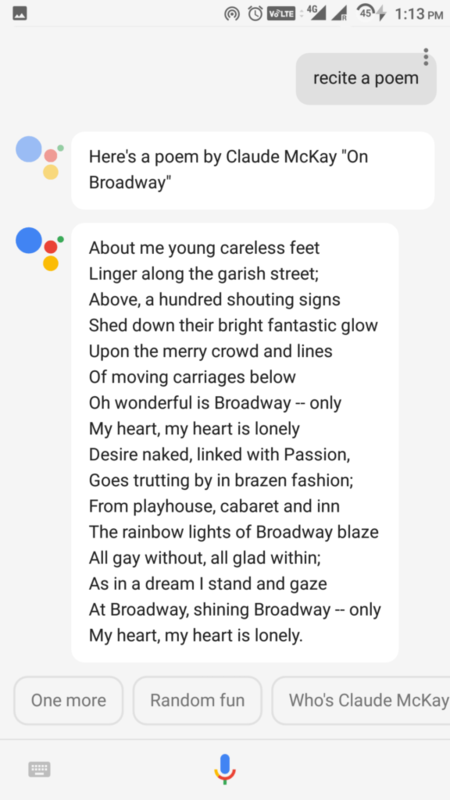 Ask the Google Assistant to recite a poem for you, while you are relaxing somewhere all by yourself. Just open it and say “recite a poem” and be prepared for some of the classic poems by renowned authors. As we all know Google is a powerhouse of knowledge, with the Google Assistant by your side you can fetch your mind with any topic related from history to geography from science to arts; Google Assistant can do it all. Posting a Tweet or a Facebook status requires opening the app, writing the content and then posting it, while this might take you some time, the same can be done through Google Assistant without using your hands at all. Simply say “Ok Google, tweet ____” and tweet will be posted. Or just ask your assistant to post a tweet and the assistant opens a text box with voice recognition to compose a tweet and post it. 19. Make your shopping list. All alone, feeling bored and a desire to talk to someone? Don’t worry, launch your Google Assistant and get involved with any conversation you prefer. See how it amazes you. Who wouldn’t want a personal assistant who will click your photo whenever you like? The Google Assistant is designed with a similar purpose. Just launch it and say “take a Selfie,” then pose for one. Your Google Assistant can serve you as a virtual travel planner whenever you’re looking for a place to get away for a while. Ask the assistant “What are some great vacation ideas?” and it will pull up some search results, which you can further tap for more information. Feeling de-motivated while being buried in a bundle of work? Don’t worry; Google Assistant is designed to motivate you during your hard times. 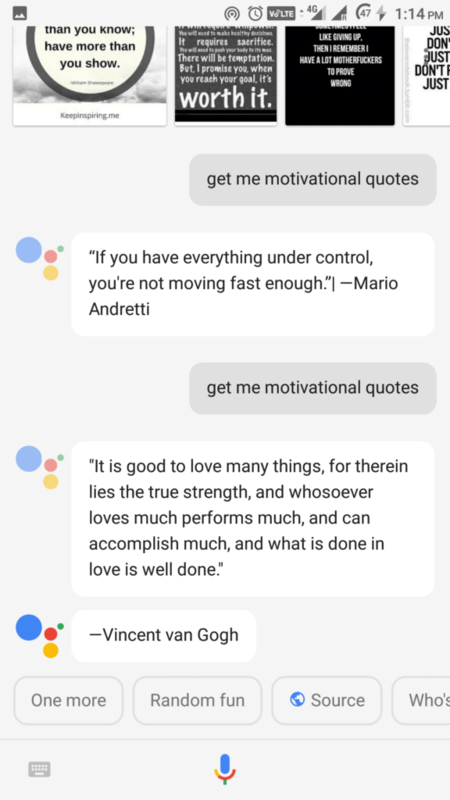 Just say “OK Google, get me a motivational quote,” and see what you get. 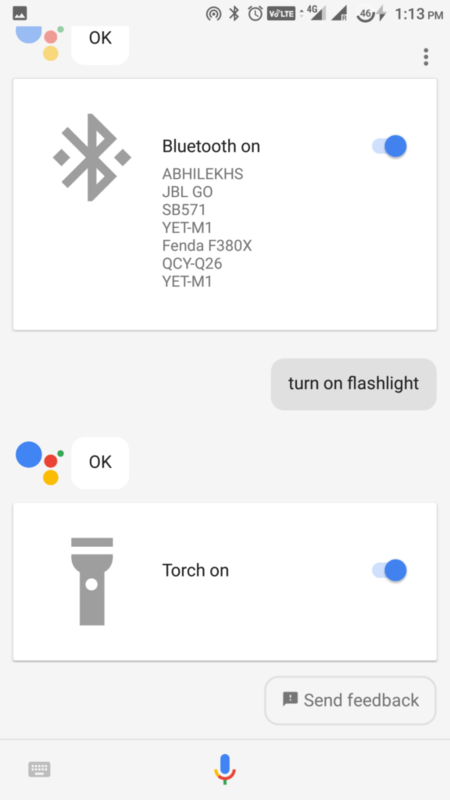 Did you find this list of Google Assistant voice commands to be useful? Share your reviews and some other useful tricks in the comments below.